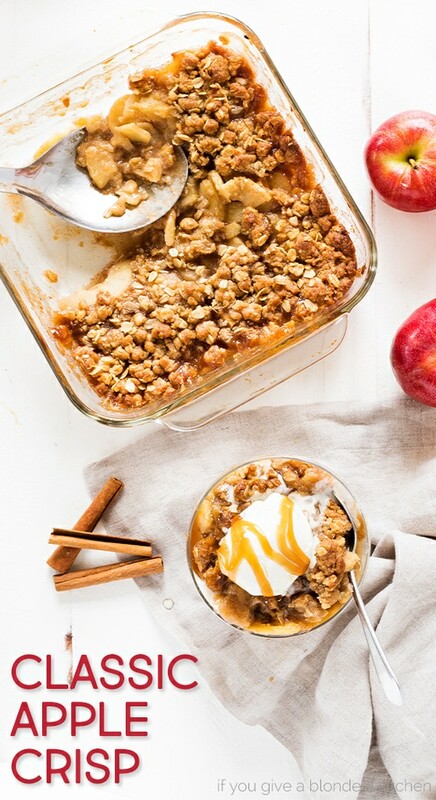 This easy apple crisp recipe is a must-bake for fall. 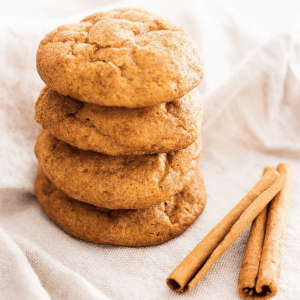 The seasonal dessert is made with apples, oats, brown sugar and cinnamon! Apple season has started up here in Connecticut and I am taking full advantage. 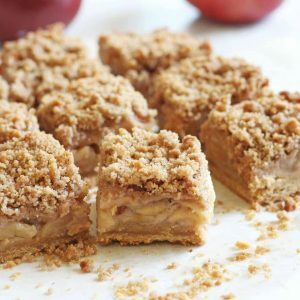 After baking my apple cheesecake bars last week, I went a head and developed this easy apple crisp recipe! Apple crisp always reminds me of my mom. She love baking with apples and would take us kids apple picking growing up. No matter how many apples we picked, she would find a way to use them all! 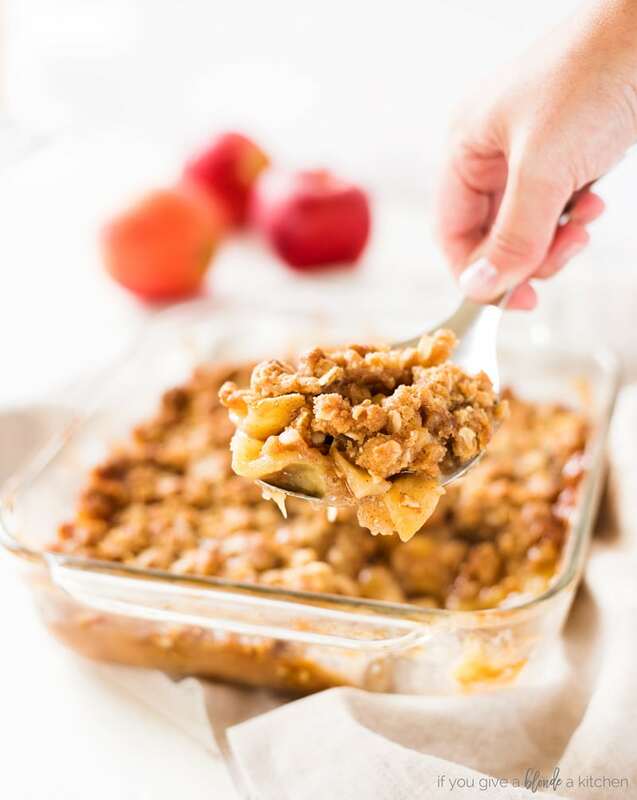 This easy apple crisp recipe uses Gala apples (although Honeycrisp and Braeburn work well too!) 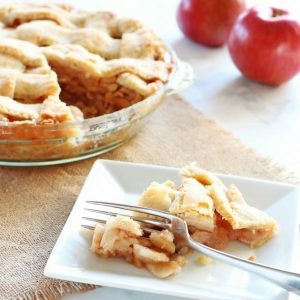 A nice, crisp apple works best because it will hold its texture while baking and not go mushy. My favorite part of baking with apples is using the apple peeler. My golden retriever Hudson sits by patiently to eat the apple skin as it spiyralizes off the apples! 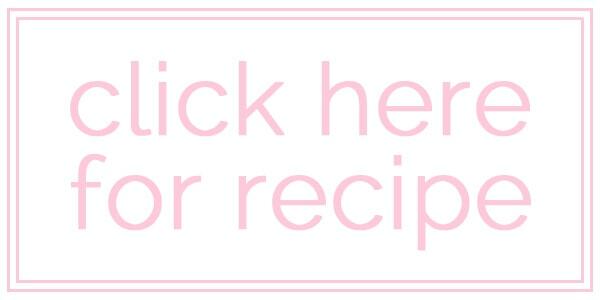 The handy kitchen tool makes baking with apples ten times easier. 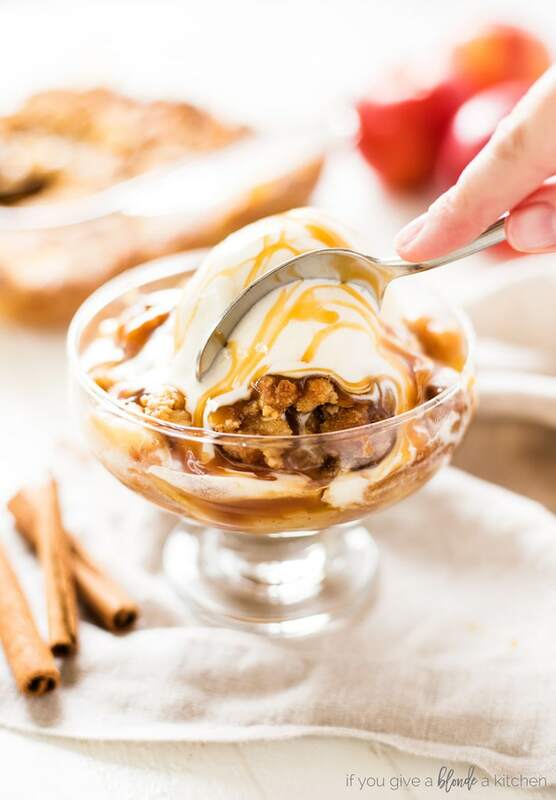 When the apple crisp is baking in the oven, your entire home is filled with the aromas of apples and cinnamon (plus melted butter and brown sugar). That smell tells me fall has arrived. It takes all my will power not to dig into the apple crisp after it is removed from the oven. 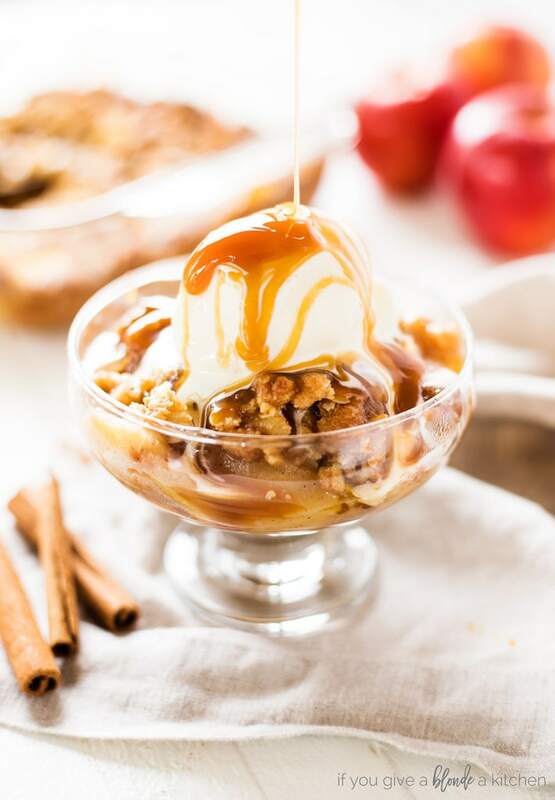 Let is sit for 10 minutes to cool slightly before serving it up with vanilla ice cream and caramel sauce. The crisp also tastes good chilled if you ask me. Sometimes I’ll even have a serving for breakfast (seriously though). 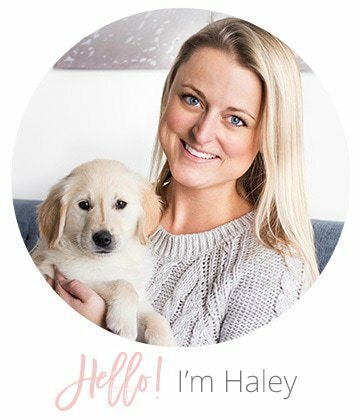 For this recipe, I worked with Ashley at Spoonful of Flavor. 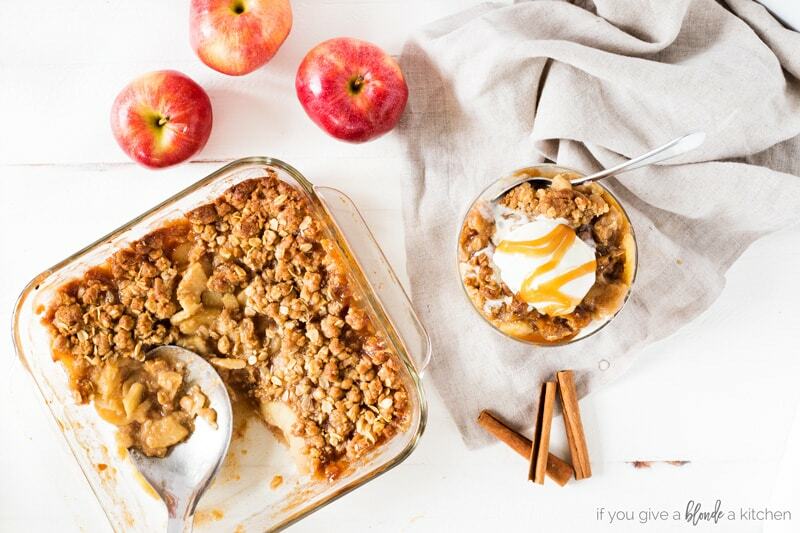 Head on over to her website for the full apple crisp recipe as well as other yummy foods to try this fall season!